And this is the lipstick. 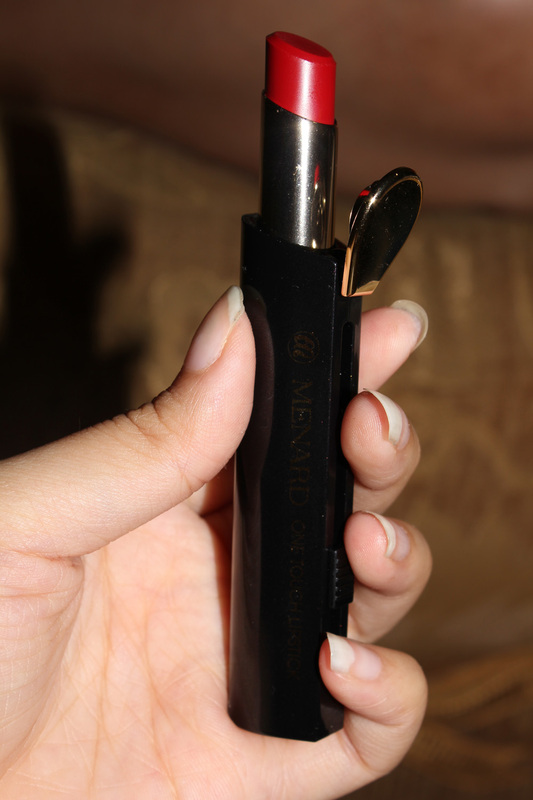 The lipstick is on black casing while I saw the lipstick on its website is gold casing. I guess mine is the limited edition one? I have no idea lol dont ask haha.. 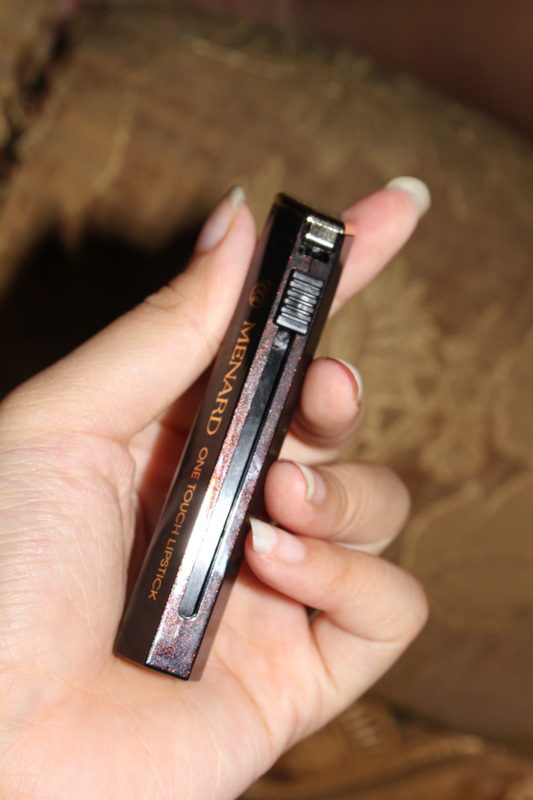 The most attractive point from this lipstick is the packaging. You need to push up the button to the top to retract the lipstick. So, no worry about lose cap again! 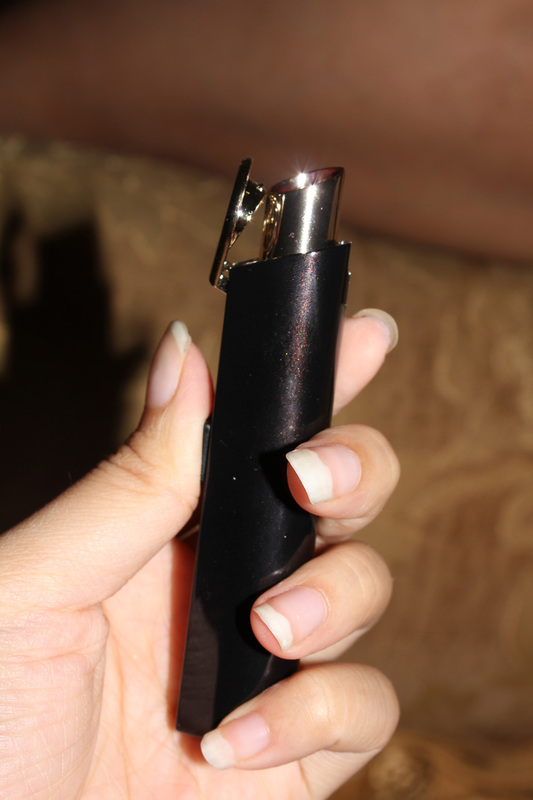 As you open the lipstick, the cap will be automatically opened also. So its really convenient and unique! 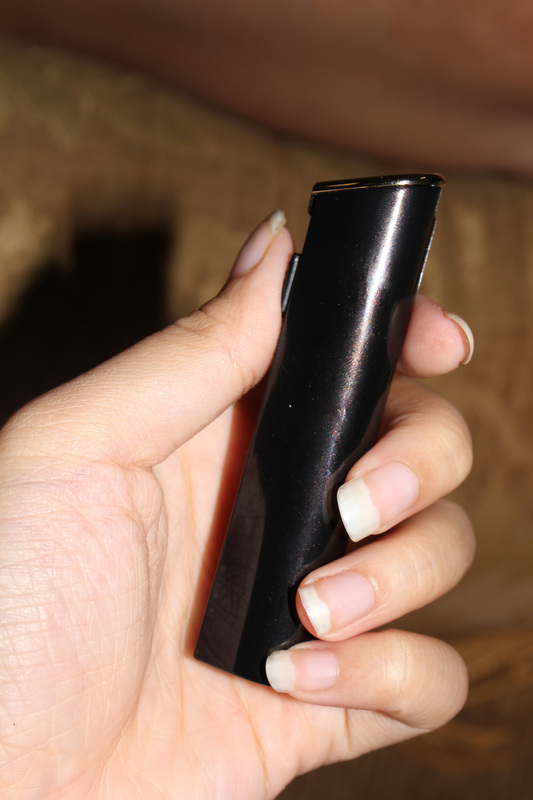 If you finish applying your lipstick, just pull down the button to lock it again. Long Lasting: 3.9 g / .13 OZ. Sheer: 3.4 g / .11 OZ. Gloss: 3.4 g / .11 OZ. Two Tone: 3.3 g / .11 OZ. 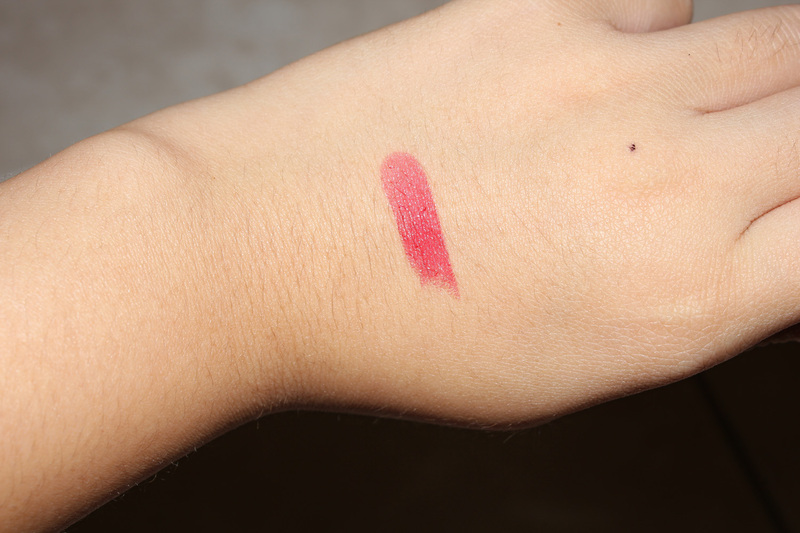 I only swiped the lipstick once on my back of hand and it already gave a really nice and pigmented color! 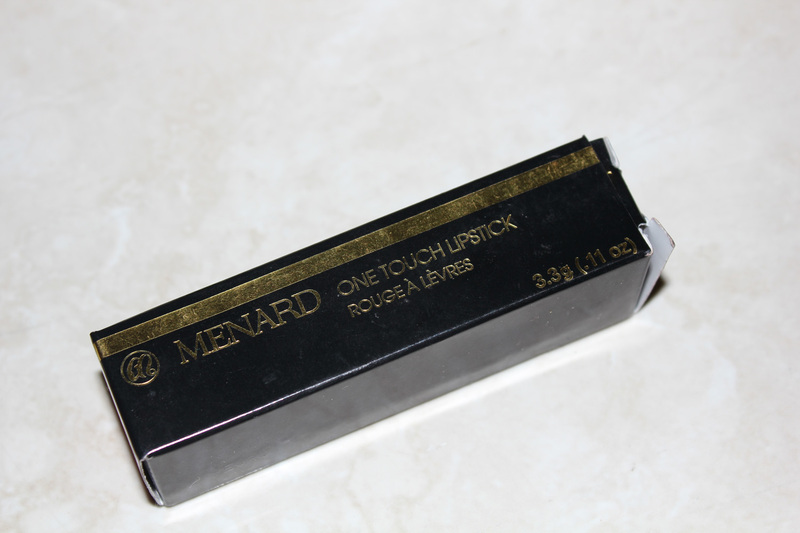 Moisturizing lip colors in MENARD's original patented and unique container. Fast and easy application and touch-ups with one hand. Full luscious colors with a spectacular finish. As for the price, I've tried looking for it at every websites I can find. Ebay, Cosmenet, sasa, amazon, etc, but I seriously cant find the exact price for it. Some said that its about 23USD, whereas some put the price for 60USD. And of course I cant ask the aunt who gave this lipstick because its really inappropriate. It looks like a nice color...I like the way its packaged that is convient because I have lost a cap before lol..thanks for the tip! would you mind letting me know where to buy it ?